Atlhough Ms Bombeck was talking about women in general, I think Indian women are particularly possessive about their spices! Indian cooking is all about the spice, and the various combinations and permutations of different spices give us such diversity in cuisine. While spices are certainly integral to our cooking, there’s so much more to them. 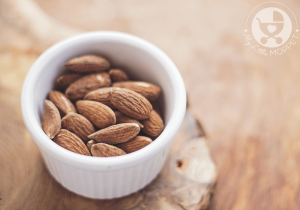 They’re not just useful in terms of nutrition, but they have healing properties too! 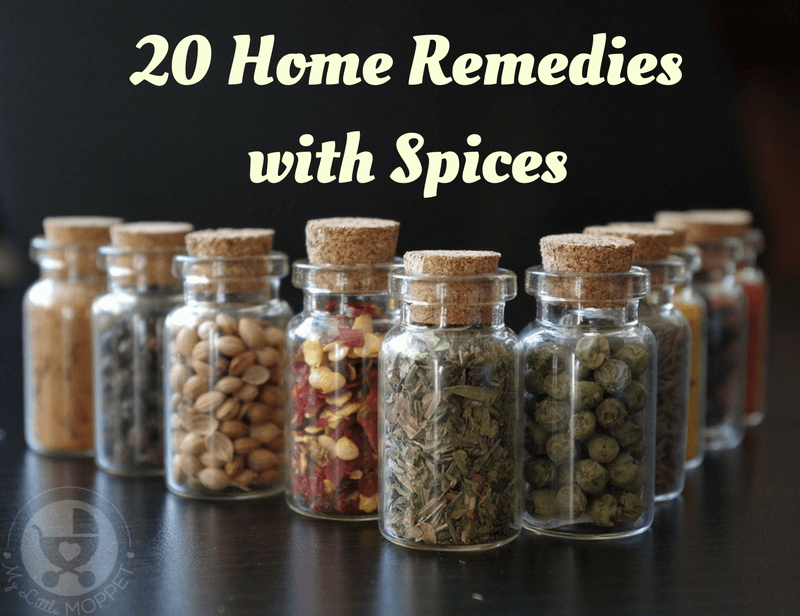 Every spice has its own set of benefits, and you’re likely to find a remedy for every problem right in your spice cabinet! 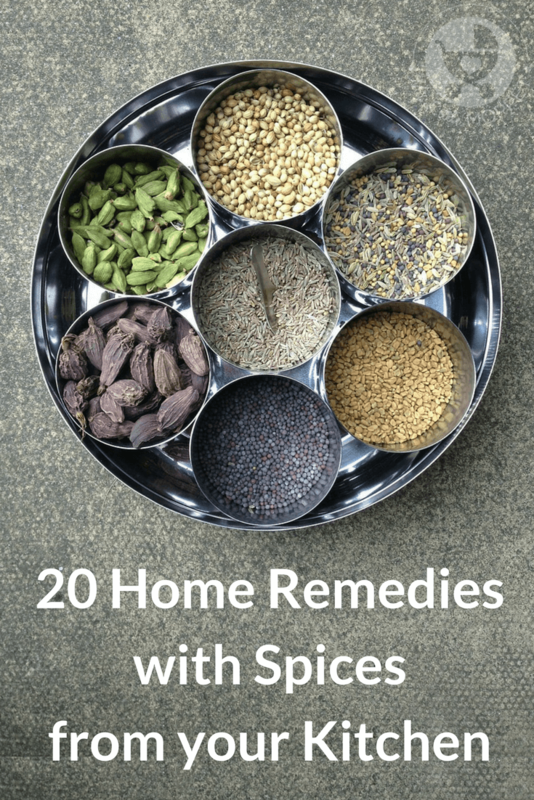 So let’s look at some home remedies with spices straight from your kitchen! 1. Cure Cold and Cough – Cardamom has the power to clear up colds and congestion, which is why cardamom chai is so popular in winters! It is also high in antioxidants and speeds up the healing process. Just add a bit of cardamom powder while steeping your regular tea for a lovely, healthy beverage. 2. Enhance Oral Health – Cardamom is also excellent for oral health. It acts as a disinfectant in the mouth as well as preventing infections and toothaches. Cardamom also keeps away halitosis – this is probably why most Indian desserts served at the end of a meal use cardamom! Chew on cardamom pods for an instant mouth freshener. 3. 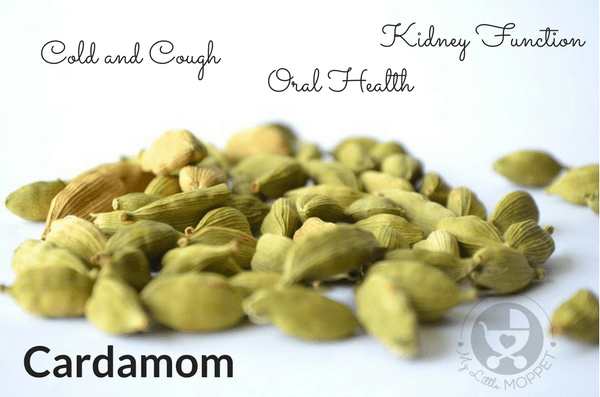 Improve Kidney Function – Cardamom has properties that act as a diuretic and helps to prevent kidney and bladder infections. If you have a tendency for urinary tract infections, boil some cardamom powder in a glass of water and sip on it. 4. 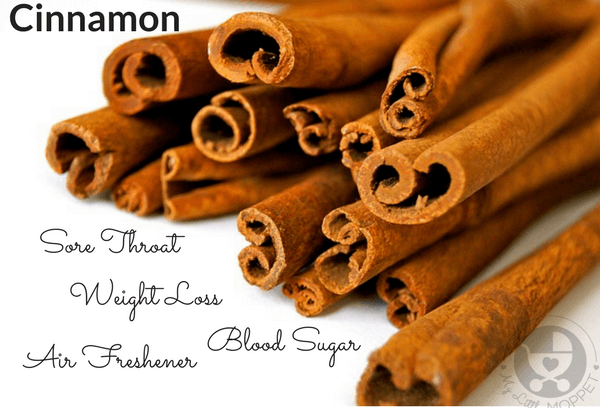 Cure a Sore Throat – Nearly every Indian home has some concoction of cinnamon to help ease sore throats. Add cinnamon powder and honey to warm water and drink up for instant relief from an itchy, sore throat. You can also add lemon if you like! 5. Lose Weight – Now this is something we can all get behind! Cinnamon is known to speed up metabolism, helping the body burn calories more effectively. There are also studies that suggest that cinnamon can help control belly fat, the most dangerous kind of fat. Make a weight loss drink with 1/4 tsp of cinnamon powder and a tsp of honey steeped in a cup of hot water and drink up on an empty stomach. 6. Freshen Air – Cinnamon is often associated with festivals, and this is partly due to it’s lovely, warm and comforting aroma. Skip the chemical fresheners and make your own air freshener by adding some cinnamon powder to potpourri or by simmering some cinnamon with orange slices and cloves. 7. 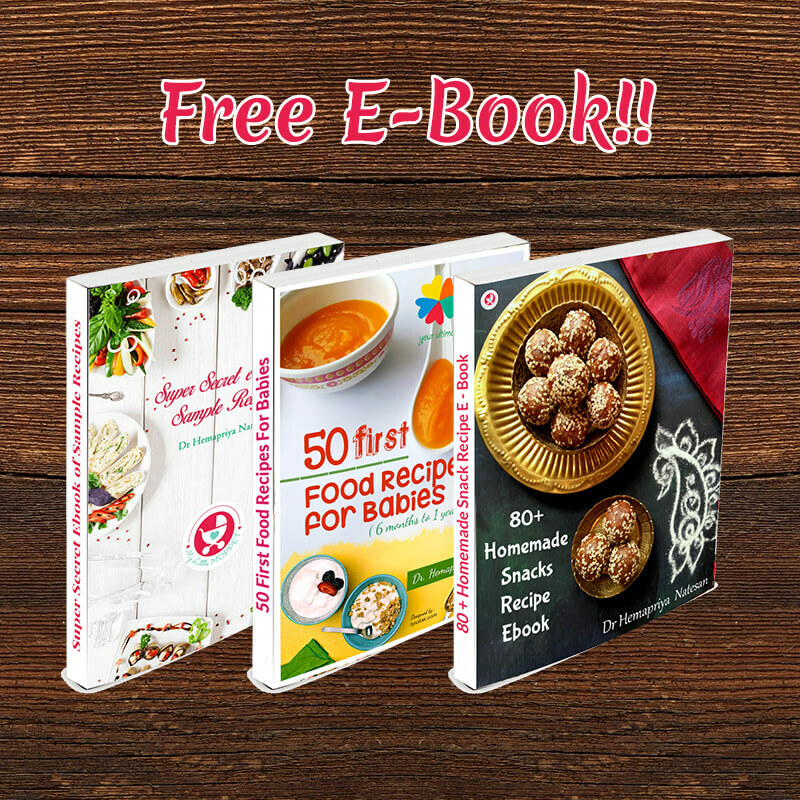 Control Blood Sugar – Several studies have proven cinnamon’s ability to improve glucose sensitivity, which is the body’s ability to use glucose. Having less than half a tsp of cinnamon powder a day has shown a reduction of blood sugar up to 29%. However be sure to consult a doctor first, since it might require a lower dosage in medication. 8. Improve Digestion – Once a very valued spice, pepper is very valuable for your insides too! Pepper contains Piperine, which encourages good digestion. This helps to reduce feelings of gas and bloating as well. 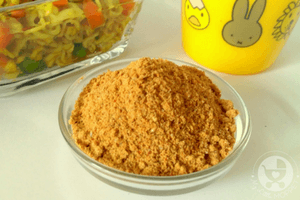 Just add ground pepper powder to your meals and enjoy great flavor along with good digestion. 9. Clear Congestion – If you’re feeling all stuffy in your chest and nose, pepper can help. 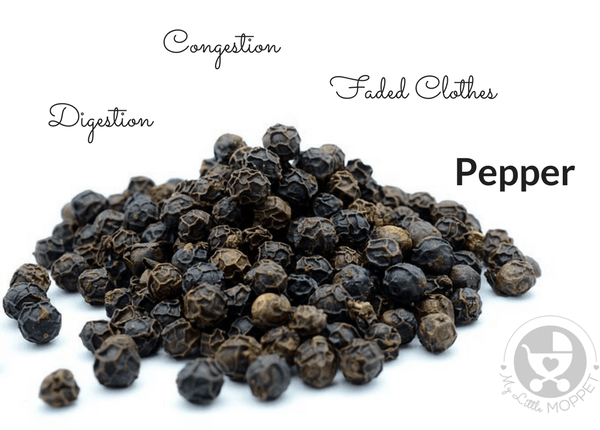 Pepper helps to release trapped mucous, thereby relieving congestion. Have a hot beverage or soup with some pepper powder mixed into it to ease up your stuffiness right away. 10. Prevent Fading – Did you know that you can prevent your clothes fading by washing them with pepper? Just add a few teaspoons of pepper for one load of laundry and find your colors brighter than ever before. A cost-effective way to ensure your lovely clothes stay as good as new! 11. Soothe Dry Cough – Carom seeds have been used traditionally for curing dry cough. Boil a mixture of carom, ginger, turmeric and pepper for 5-10 minutes, cool and drink. You can add some honey too, if the mixture turns out to be too spicy for your taste. 12. 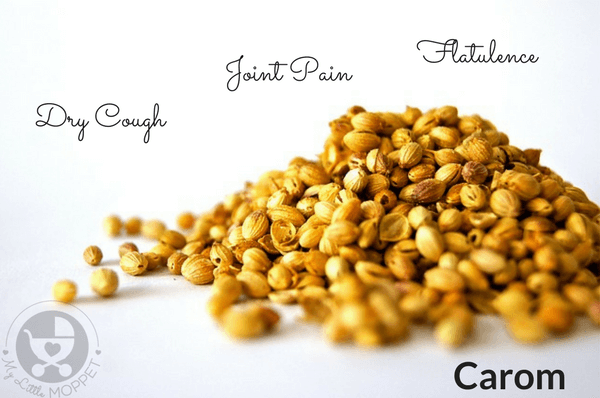 Ease Joint Pain – Carom seeds are known to be anti-inflammatory and are great for easing joint pain resulting from rheumatic arthritis and inflammation. Heat mustard oil with ground carom seeds and cool before massaging on achy joints for pain relief. 13. Stop Flatulence – Flatulence can be an annoying and embarrassing problem, but carom can keep you safe! Mixing carom seed powder with lime juice and warm water is one concoction that can help. You can also add some salt if you like. 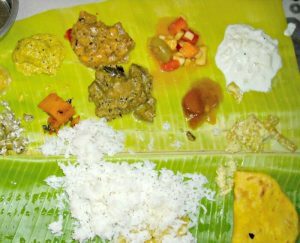 This mixture can also cure a loss of appetite. 14. Clear Skin Infections – Cumin is great for treating boils, pimples, eczema as well as improving the general condition of the skin. Cumin water is found to be soothing for many troubles and a paste of vinegar and cumin powder also helps. You can also add some cumin powder to your usual face pack for extra benefits. 15. Prevent Anemia – Cumin contains a good amount of iron, the main component of hemoglobin in the blood. 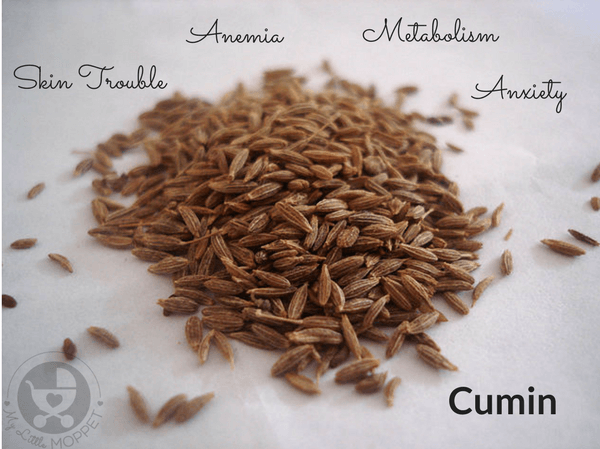 Considering that iron is the most deficient mineral in Indian diets, cumin’s benefits are more significant. Just include cumin in daily meals, like during tempering of a curry. 16. Boost Metabolism – Cumin water is extremely popular as an after meal drink in many Indian homes. Cumin has properties that encourage better digestion and elimination, boosting metabolism and aiding weight loss in the process. 17. Ease Anxiety – Cumin has compounds that offer a tranquilizing effect, helping you relax. Due to this, cumin is also often considered a remedy for insomniacs. Drinking some cumin water or massaging with cumin oil have been found to reduce anxiety and promote better sleep. 18. 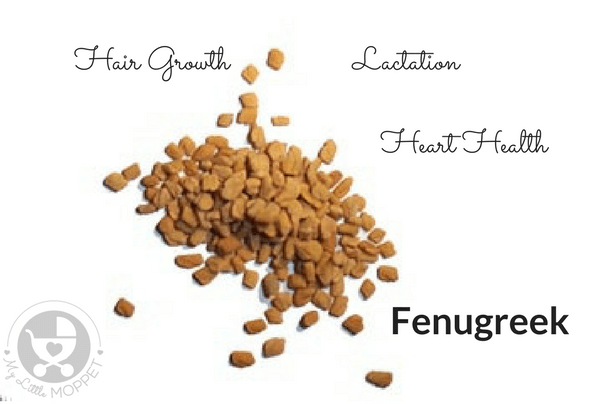 Enhance Lactation – Fenugreek contains phytoestrogens, compounds that mimic estrogen in the female body.  This makes this a great spice for lactating mothers as it helps boost their milk supply. Sprinkle fenugreek powder in your daily dishes to get the benefits of this wonder spice. 19. Increase Hair Growth – Fenugreek is a great addition to your usual hair masks. 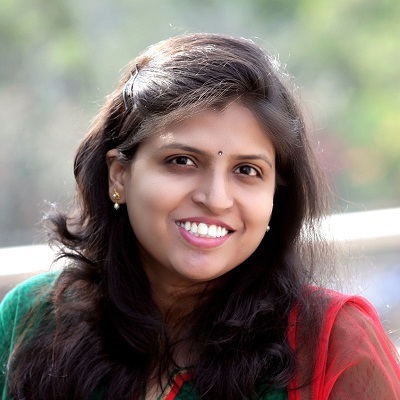 It’s quite popular for promoting hair growth and preventing dandruff and hair fall. Grind soaked fenugreek seeds or fenugreek powder into a paste and apply it on the scalp for softer, dandruff-free hair. 20. Improve Heart Health – Having fenugreek regularly has shown a marked improvement in heart health, according to studies. Fenugreek acts as a blood thinner, preventing clots, and also contributes to lowering blood pressure. Just boil some fenugreek in water for 5 minutes, strain, cool and drink. 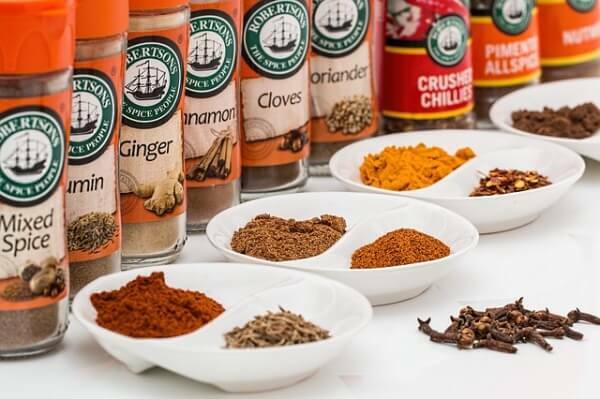 In order to get the most out of these home remedies with spices, it’s important to ensure that we buy only pure, unadulterated spices from a trusted source. Adulteration of spices is more common than you think and it’s hard to find out just by looking at the spice. From dust and stones to animal excreta to lead, adulterants can range from dirt to danger. Besides being a health hazard, adulterated or old spices don’t have the potency of freshly ground spices. They don’t taste or smell the same, and won’t give you the health benefits of unadulterated, organic spices. Spices are best stored away from light, and in opaque containers instead of glass or transparent jars. They do well in dark cupboards rather than on the countertop. Buy small quantities, so that you always get the freshest flavor. Be sure you’re getting your spices from a trusted vendor, who guarantees the best quality. 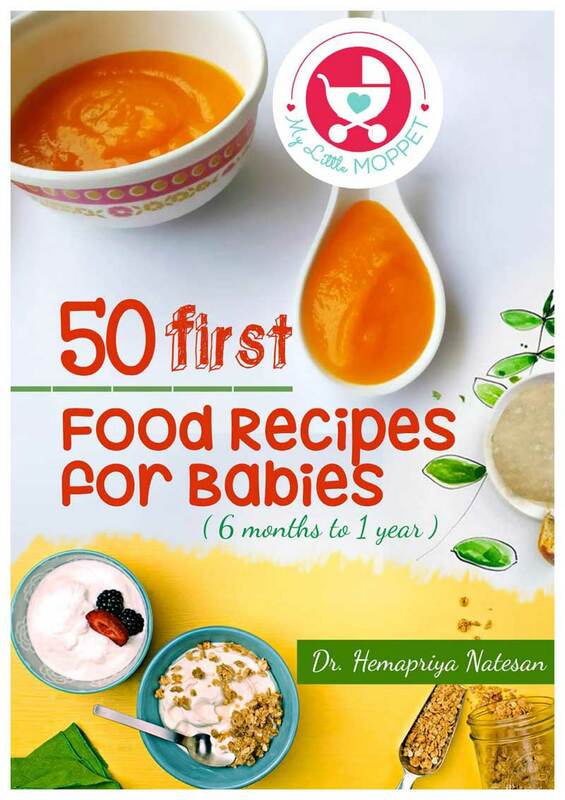 This way you can be confident even about feeding spices to infants. If you’re wondering where you can find organic spices that are 100% free from chemicals and preservatives, hop on to the Little Moppet Foods range of Organic spices – you’ll find everything you need, from individual spices to garam masala to kid-friendly chutney powder. Get the best quality for your family and experience the difference in your food and your life!